They don't love to read. I drag them from the hall into the room. Point to my own book. Answer the knock on the door. Watch the eighth grader saunter across the room to drop off his homework. Go back to my book. Flinch at yet another noise. Move to a vantage point across the room. There is reading going on. it is sitting out on the desk. I tell him to put it away before he leaves. I want to read some more tonight." New to our school this year. I suggest a novel in verse. She comes back a few days later. "I like books like this. Do you have any more?" She trudges up the stairs after the four day weekend. "Miss, I finished, DEAR MARTIN. Did you know it was about racism? And I started another one." She stops in the middle of the hall. Drags the newest book out of her backpack. "It's really good too," she says. "Did you see my book log?" I tell him I haven't yet, but I will. "Last time I was on chapter 8," he says. "And now I'm all the way to chapter 13." examining the Scholastic book flyer. fills out the order form. pushing the form back at me. Up to this point I have chosen books for her. I'm not sure whether CROWN: AN ODE TO THE FRESH CUT, really counts as poetry, but it definitely falls into my category of poetic picture books, and it's a book I want lots of people to know about, so I'm sharing it for POETRY FRIDAY. CROWN captures the experience of a young African American boy on his weekly trip to the barbershop. I read it, and am instantly drawn back to the days of taking my boys for their bi-weekly haircuts with Mr. Stan. How they would plan what cut they were going to get. The wisdom Stan would impart as they sat in the chair. How they'd pose in front of the mirror afterwards. without even expecting change back. Tip that man! Tip that man! It was worth it. It always is. Because you'll leave out of "the shop"
The poetic text is accompanied by rich, detailed, colorful illustrations. Boys who look exactly like my boys. And the kids I've taught over the past thirty years. 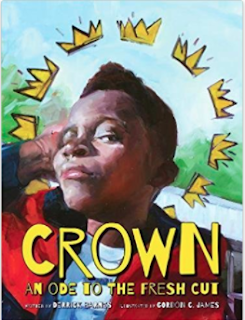 In an author's note, Derrick Barnes says, "CROWN: AN ODE TO THE FRESH CUT focuses on the humanity, the beautiful, smart, raw, perceptive assured humanity of black boys/sons/brothers/ nephews/grandsons and how the see themselves when they approve of their reflections in the mirror. Deep down inside, they wish everyone could see what they see: a real life, breathing, compassionate, thoughtful, brilliant, limitless soul that matters, that desperately matters. We've always mattered." Liz Steinglass is hosting Poetry Friday today. I work at a dual language school. Some of our students speak English as their first language. Some of our students speak Spanish. Our goal is that students will graduate from eighth grade fully bilingual and fully bi-literate. I'm always on the lookout for ways to help students and their families bridge between the two languages. MARTA! 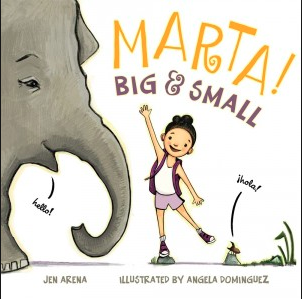 BIG AND SMALL, which I encountered at CCIRA, will definitely be added to our library. Marta is una niña pequeña. She visits the jungle, where she encounters many animals. She also encounters a snake, who thinks Marta looks very sabrosa (tasty!). The use of repetition, and movement between English and Spanish will be really helpful to students, who are learning a new language. It's also a great book for thinking about adjectives and opposites. And it's really, really fun besides! The illustrations in this book are simple and way fun, but also tell a great story; the book reminds me, a little, of ROSIE'S WALK, which I have always loved reading to kids. Definitely one to own, put in your classroom or school library, buy for gifts, etc! where could I get those things? would it be safer to climb out the window? what if the shooter saw us? but her students can be safe. Would I be that brave? Several years ago, Monica Brown visited our school. 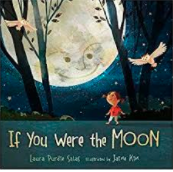 The visit came as a surprise-- I got a phone call asking if we would be interested in having a bilingual children's author read aloud to our second graders. Of course we would! And that's how I became acquainted with Monica Brown, author of MARISOL MCDONALD DOESN'T MATCH/MARISOL McDONALD NO COMBINA. Monica is the author of many books, including WAITING FOR BIBLIOBURRO, TITO PUENTO: MAMBO KING, and PELE: EL REY DE FÚTBOL. I will always remember her, though, for how kind and inspiring she was with our second graders. 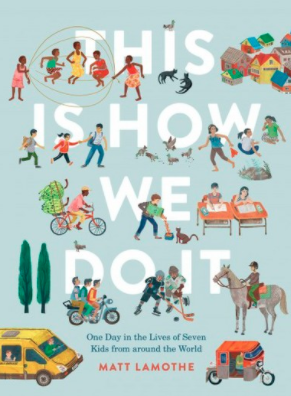 My school's population is about 65% English Language Learners, and Brown talked about her own childhood, and about going to college, and becoming a university professor and then a children's author. At the end, she signed a book for each child. It was a magical time. 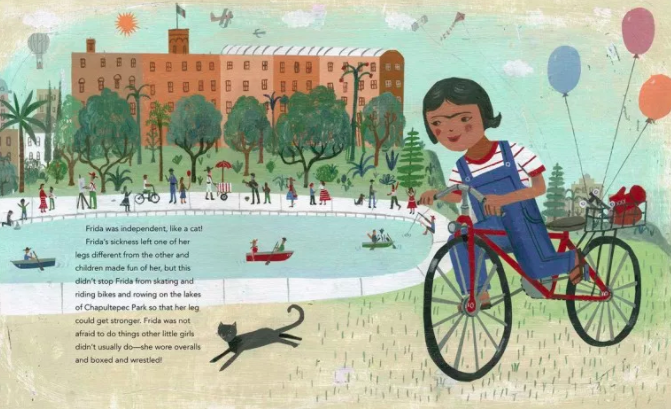 Brown's most recent picture book biography, FRIDA KAHLO AND HER ANIMALITOS was nominated for this year's CYBILS. In an author's note, Monica Brown says, "I've always been intrigued by Frida's relationships to her animal companions. Although she didn't get her most famous pets until she was an adult, I chose to write about Frida's animalitos as a way of highlighting Frida's magical creativity-- her strength, her sense of adventure, her indomitable spirit- throughout her life. What insights do her beloved animals tell us about the young Frida? It was an hour to use lo real maravilloso (the marvelous real) to imagine just that." Kahlo owned many pets, including monkeys, dogs, turkeys, an eagle, a black cat, and a fawn, and Monica Brown uses those pets to tell Kahlo's story. Frida had a parrot named Bonito. Like her parrot, Frida was colorful. She liked to wear bold shades that celebrated indigenous Mexico and her own heritage. She lived in a house the color of a bright blue feather- La Casa Azul- where she grew up with her mom, dad, and sisters. Brown's use of animals makes a really complex artist much more accessible to young children. The book could also be a mentor text for students who are interested in biography. And you can't really talk about a picture book without mentioning the illustrator. Maybe it's enough to say that earlier this week, ANIMALITOS won a Pura Belpre Honor award for illustrations. This year, I am teaching a seventh grade study hall/reading block. It's the last 45 minutes of the day. The kids are supposed to read for about half of the time, then do homework the other half. We instituted the study hall because our middle schoolers just weren't reading enough. The seventh grade curriculum includes one novel each quarter, and then some supporting articles, handouts, etc. It wasn't enough. And so we implemented the reading block. To be really honest, it's been a little bit of a struggle. It's sad and embarrassing to me that I'm supposedly an expert in reading, and even have a blog about books, and the kids at my school aren't really readers. If you asked, I suspect that more than half of our middle schoolers would tell you that reading is boring. It's been hard work to sell the reading block to the kids and to our administrators. But things are changing, at least a little. At the beginning of October, when I started teaching the class, the kids could read for about ten minutes. Now we have worked our way up to 35 minutes and the kids, or most of them, anyway, look forward to the time, or at least don't hate it anyway. I think a lot of the kids' success has to do with picture books. You see, at the same time as I was teaching the class, I was also starting my stint as a Round 1 CYBILS nonfiction judge. Between October 15 and January 1, I read almost 100 new nonfiction books, 70 of those picture books. As I read, I brought the ones I thought my middle schoolers would find interesting into school. I propped them up in the front of the room and when a kid seemed to be getting restless, I would grab two or three picture books and silently place them on their desk. My nf picture book ten for ten, then, is picture books for big kids. It includes some of the books they enjoyed. 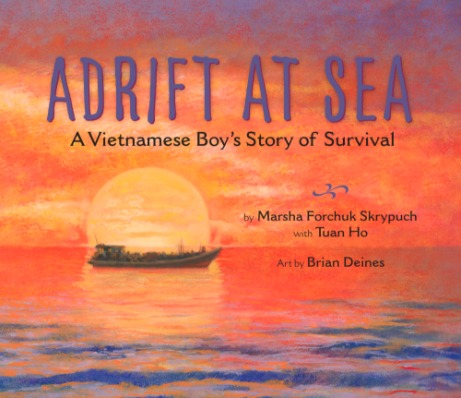 Tuan Ho was six years old when he and his mother and sisters fled Vietnam in 1981. ADRIFT AT SEA by Marsha Forchuk Skrypuch tells the story of the family's perilous journey in a leaky, overcrowded raft with almost no food or drinking water. The book ends with photographs and a "Where is he now?" Add this one to your immigration collection. 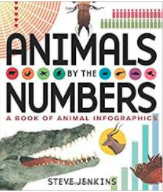 ANIMALS BY THE NUMBERS: A BOOK OF ANIMAL INFOGRAPHICS is one of Colorado author and illustrator Steve Jenkins' newest books, and maybe, just hearing that it's by him is enough. I need you to know, however, that my students have spent hours poring over Jenkins' infographics, sharing them with each other, and following me around the room to talk about them. I really want students to know how to create infographics and I'm planning to use this as a mentor text. Duncan Tonatiuh is one of my new favorite authors/illustrators. I especially love his unique illustration style, which draws is inspired by pre-Columbian art. DANZA is the story of Amalia Hernández, the creator of Mexico's famed Ballet Folklórico. If you haven't seen Tonatiuh's, SEPARATE IS NEVER EQUAL, that's a must have as well! 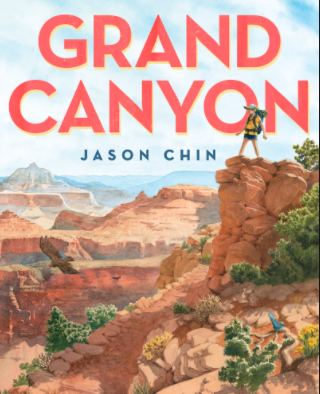 Jason Chin's multi-layered GRAND CANYON is fascinating. The reader journeys with a child who hikes with her father from the bottom of the Grand Canyon to the rim. On each page, Chin uses multi-layered illustrations to weave in information about animals, plants, and geology of the Grand Canyon. One of those books you can read ten times and learn something new each time! 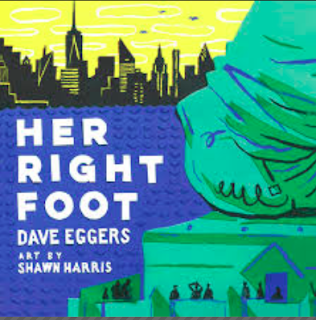 HER RIGHT FOOT is a poetic and artful look at the Statue of Liberty. This one prompted some great discussions about who really should be welcome in our country. Important at my school, where well over half of the kids are Mexican immigrants, but important for other kids as well. People who have read my blog know I like a little science with my poetry. IF YOU WERE THE MOON consists of gorgeous metaphorical language (if you were the moon, you'd spin like a twilight ballerina), accompanied by a paragraph of factual information. I'd love to use this book in a study of interesting informational writing. If you haven't read Salas' WATER CAN BE and A LEAF CAN BE be sure to check those out as well. 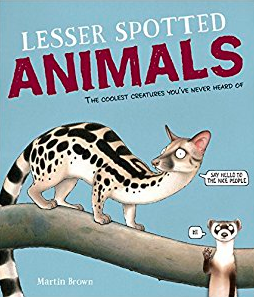 LESSER SPOTTED ANIMALS is one of those slightly quirky books that kids love. Listen to the first page. Each two-page spread includes a large, drawn picture of the animal, often with a cartoon bubble. There are two paragraphs of description, written in a comical voice that could definitely elevate kids' informative writing. There are tiny (1" X 1") boxes that contain additional informative drawings. I blogged in depth about the bookhere. This one has also been released in Spanish! Talk about a powerful voice! 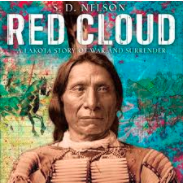 RED CLOUD: A LAKOTA STORY OF WAR AND SURRENDER by S.D. Nelson tells the story of a controversial Lakota Indian chief. Red Cloud opposed westward expansion and led the only band of Native Americans to defeat the U.S. Army, but then made the controversial decision to move his people onto the reservation. A really quiet, but powerful voice! 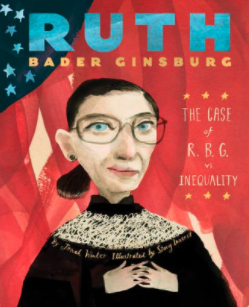 Jonah Winter's RUTH BADER GINSBERG: THE CASE OF R.B.G. 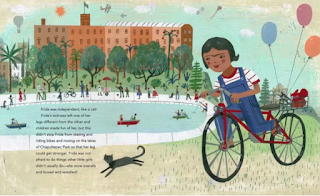 vs. INEQUALITY is a very unusual picture book biography. The many challenges in Ginsberg's life, beginning with her father, who didn't want her to go to college, her life as a student at Cornell University and then Yale Law School, and her nomination to the Supreme Court are presented as a court case. Another format that would be fun for kids to explore. In THIS IS HOW WE DO IT, by Matt Lamothe, readers follow children from Italy, Japan, Iran, India, Peru, Uganda, and Russia as they journey throughout the course of a day. I thought my middle schoolers might think this was a little young, but they loved it. So there are my ten nonfiction picture books. 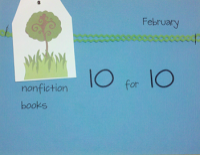 Of course you will want to head over to the PB10 for10 Community to check out other nonfiction posts! Thanks to Cathy Mere, Mandy Robek, and Julie Balen for pulling the community together. This is one of my all time favorite weeks of the year! It's our state's annual literacy conference, and for three glorious days, I'll spend time with "my people." Lots of terrific speakers- so far I have attended by sessions by Stacy Shubitz, Ralph Fletcher, Jeff Anderson, Maggie Beattie Roberts, Jeff Zwiers, and Rita Williams Garcia. My sessions today, include Meeno Rami, Dorothy Barnhouse, Vicki Vinton, and Ruta Sepetys. Tomorrow, Peter Johnston, Kylene Beers and Bob Probst. And then there are all the encounters with dear friends from all over the state. And the exhibit hall. And browsing at the Boulder Book Store. And did I mention that ALA Midwinter is in Denver this year, so Saturday afternoon I'm headed downtown to the Exhibit Hall at the Convention Center! Definitely a dizzying week of thoughts and books and ideas. In my literary frenzy, I came across this poem by Dylan Thomas. And it seems perfect for the week! Sally Murphy is hosting Poetry Friday today. I remember her in second grade. Bangs cut straight across the forehead. A quiet presence in the after school snacks. I would smile and say hello to her every day. She grinned but never said anything. but didn't have the English to ask for it. "I want chocolate milk please,"
And now she's in seventh grade. a handful in reading class. "You can't make me like it, Miss. It's boring." and sometimes more than a little disrespectful. Made her sit still in reading class. Handed her picture books and graphic novels. So I was a little ok. This month's book order came. that allows all of the kids to order a $7 book, for free. so she asked me to help her pick a book. Topics I thought she might find interesting. She told me she didn't think she could read it. I told her that I read it last summer and loved it. And that maybe she could just try it. And read for thirty minutes straight. Several times she stopped to talk to me about the book. Once she read a line and asked if I thought it was a simile or metaphor. she didn't remind me that reading was boring. Instead, she said, "Miss, I like that book." I still have three more months to grow this reader.